This is the final stage at a lovely Mews project performed by Styleseal in the Cotswolds. 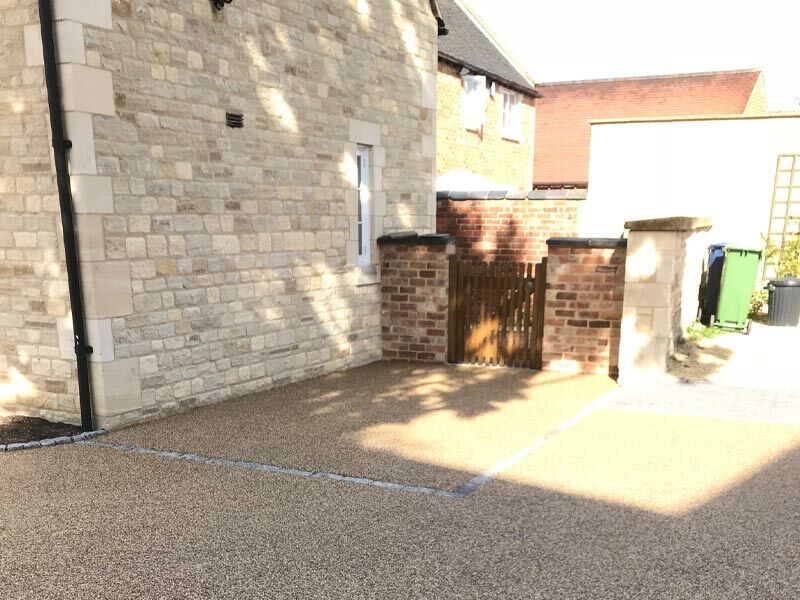 There was a loose gravel drive over the whole area including parking bays, which was impractical and unsightly. 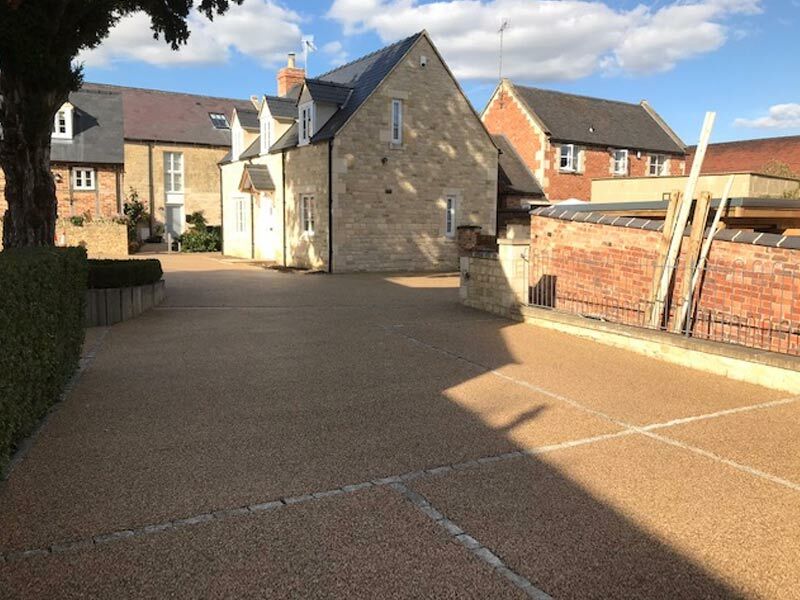 The 300m2 area was excavated, tarmaced and a lovely new resin bound drive laid throughout. Desert Gold blend was used which harmonises perfectly with the surroundings. There are no more loose stones to worry about! 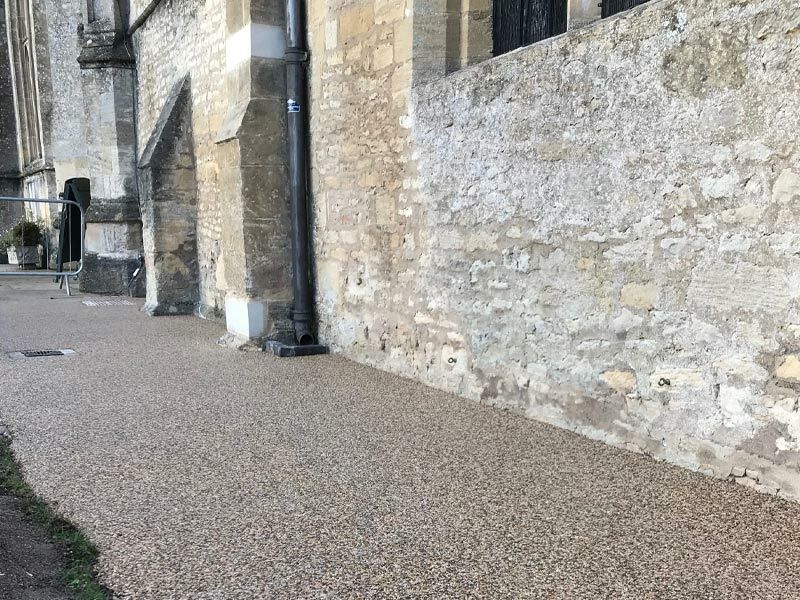 A nice little 65m2 resin bound surface at St. John’s Church in Burford within the Cotswolds. 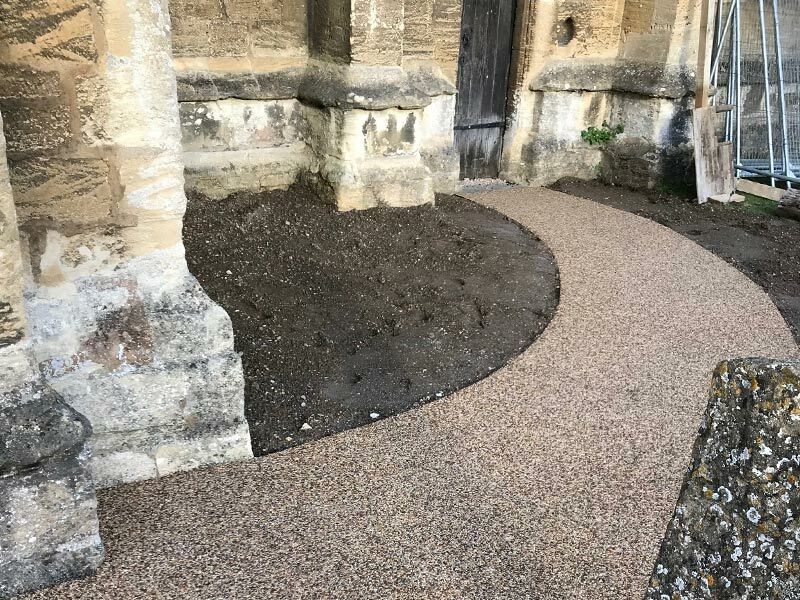 We laid some 260m2 last year and the parishioners loved it so much that we completed some additional areas this week to finish the grounds off nicely. 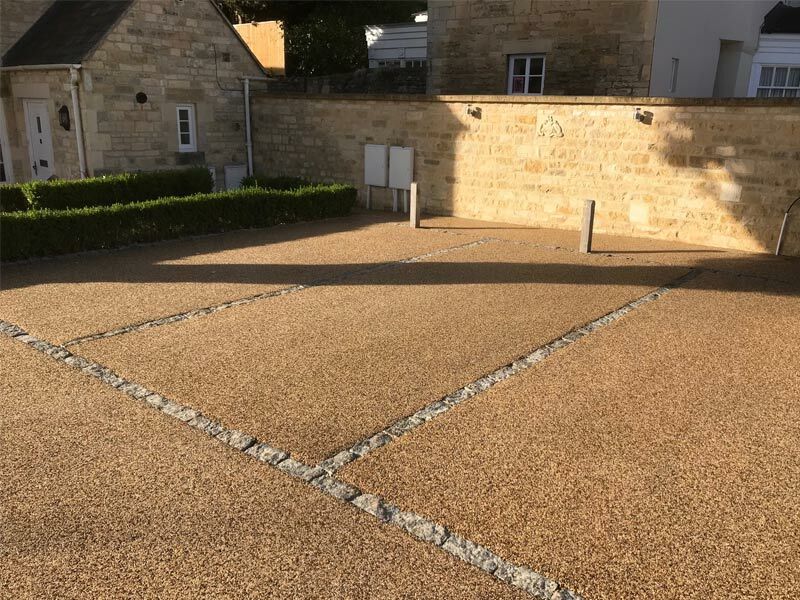 We laid the resin at 18mm depth using our Desert Gold blend. 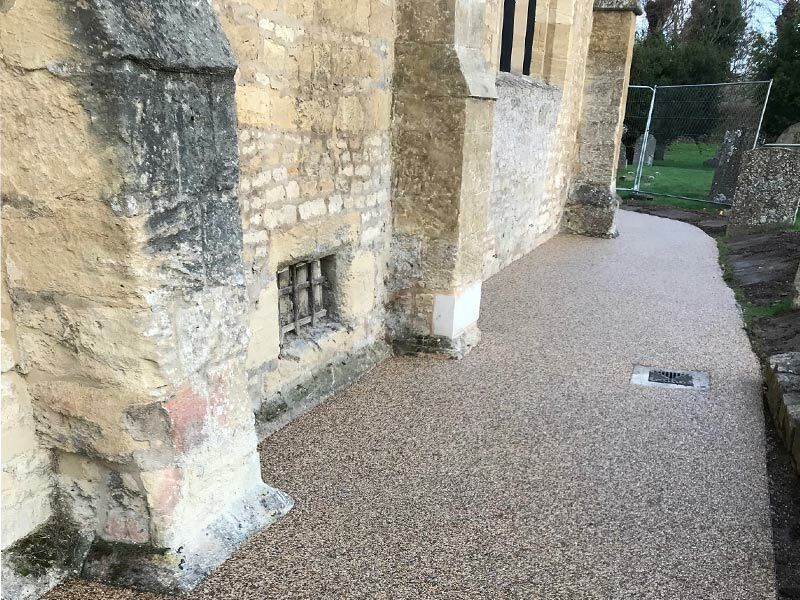 The end result is wonderful and being porous, ticks all the boxes for this beautiful church.